the AMCU, the Committee), but also in respective law-enforcement practice. Of course, positive changes are encouraging, but things are not as clear-cut as they may seem and there are always two sides of the coin. — Draft Law No. 6746 ensures the principles of procedural justice and increases the efficiency of proceedings in competition violation cases. — Draft Law No.6723 contains a number of progressive provisions, which, in particular, exclude the double regula­tion of vertical Concerted Actions, and pro­vide for changes aimed at ensuring the enforce­ment of the Committee’s decisions. Despite the fact that the development requires the adoption of these initiatives (especially, Draft Law No.6746, which is supported by the public as well as business) the process is stagnating or progressing very sluggishly. Among the major recent changes introduced, mention should be made of the Draft Market Definition Methodology (the Methodology), which was issued by the AMCU with the support of colleagues from foreign competition authorities. In general, the document is based on the EU’s approaches, but at the same time requires additional amendments taking into account Ukrainian specifics. The AMCU assumes that the Methodology should be applied in cases regarding obtaining merger and concerted actions clearances, investigations on violations in the form of abuse of dominance and merger without prior clearance. Such an approach remains debatable, at least because preliminarily the Methodology is not planned to be used in cases on anti-competitive concerted actions. There are certain changes that have affected Ukrainian merger control. In particular, the Law of Ukraine On Protection of Economic Competition (the Law) was amended. Under the new wording, no merger clearance is granted for mergers prohibited under the Law of Ukraine On Sanctions. — On 15 December 2017 the Draft Recommendations on assessing non-horizontal (vertical and conglomerate) mergers. It is expected that the draft will be approved by the AMCU following comments and public discussions. At the same time, the above-mentioned documents do not have an obligatory nature for the AMCU, but only provide general clarifications of the assessment approaches. 5 Decem­ber 2017. The document provided for navigation to safe harbor of particular vertical restraints, has become a clear guide for business and the next step in harmonizing national competition law with European approaches and regulations. In August 2017 the law regulating the procedure for granting state aid and its admissibility, aimed at supporting equal conditions in competition in product markets came into effect. State aid is a new area of growth and the AMCU is in charge of controlling state aid support that distorts/may distort competition in Ukraine. It is important that the Committee, when explaining the specifics of the application of state aid law, was guided by the appropriate European regulations and practices. Over the course of last year the AMCU struggled to obtain results with its high-profile market investigations. The enforcement record indicates that the AMCU was focused on detecting and prosecuting cartels, abuse of dominance, as well as unfair competition. Thus, the AMCU’s activities mostly dealt with such socially important markets as pharmaceutical, petrol, foodstuff, telecommunication and energy markets, etc. Pharmaceutical cases. At the end of 2016 and end of 2017, the AMCU finished investigations regarding global pharmaceuticals companies Alcon, Servier, Sanofi and their Ukrainian distributors by levying impressive fines. In its decisions the AMCU did not provide a comprehensive economic analysis of the relevant markets and did not show the effect of commercial practices on competition. In addition, the AMCU narrowly defined the boundaries of the market and left without attention the question of correlation of a patient’s individual demand with market demand. Some defendants in cases appealed against the AMCU’s decisions to commercial courts. The judicial proceedings are still pending and, as a result, the AMCU adheres to its disputable approach when taking decisions. Petrol cases. In 2016 the AMCU also carried out an investigation into petroleum operators. This investigation was prompted by the simultaneous increases in prices by petrol and diesel operators. As of today, the AMCU’s notable decision against operators is being actively reviewed in courts. Moreover, the Higher Commercial Court of Ukraine rendered decisions on the claims of most of the defendants taking the side of the AMCU. Boryspil case. In 2017 the AMCU also concluded several proceedings in abuses of dominance. One of them relates to the State Enterprise Boryspil which was fined UAH 12.7 million by the authority for abuse of dominance in the market of specialized airport services. The company appealed against the AMCU’s decision to a commercial court, but its claim was dismissed. The case is currently pending in the Commercial Court of Appeal. In the unfair competition sphere the Committee also represented a certain proportion of its enforcement activities. The authority tends towards more comprehensive analysis of unfair commercial practices. In particular, the AMCU applied to the largest Ukrainian mobile telephone network operators large fines of up to UAH 20 million separately for each. Nevertheless, the AMCU keeps open the question regarding undue preferences in competition which were achieved by operators over competitors which also used the same practice. In the practice of merger control law-enforcement, the AMCU’s approaches for asset deals remain a problematic issue. The approach of the Committee is highly controversial, and the basic criteria is that involved assets should ensure some kind of economic activity. However, interpretation of this principle may be quite extensive, and so the antitrust risks should be taken into account while planning transactions on acquisition of different types of assets. The AMCU has also started noticing the nature of control relations as well as its changes (from sole to joint control and vice versa). The issue is not new for the EU Commission, but is a noticeable change for Ukraine. There is also a tendency towards an increase in the average amount of fines for mergers without appropriate clearance by the AMCU where it is required. The year 2017 was an important one for developments in Ukrainian competition law regime. Thus, in the near future we will see a stronger AMCU with a growing level of comprehensive analysis and expertise enabling it to solve increasingly complex cases, such as international cartels. The Committee will follow global trends and step up international cooperation. We also anticipate the AMCU’s deep interest in the socially significant markets of food products, pharmaceuticals, petrol, energy, telecommunications, and passenger carriage. Additionally, the AMCU was active in the improvement of its decisions, having brought them in line with those of the European Commission. It is obvious that the current AMCU better defends its position in courts than in years gone by. At the same time, business entities are also becoming more active in appealing against AMCU decisions in the courts. All this makes obvious the growing business request for strong antimonopoly experts. Therefore, the key task of a business wishing to protect itself from the AMCU’s attention is the introduction of corporate antimonopoly compliance, which consists in antimonopoly risk management and mitigation tools, and providing support and legal substantiation in case of possible attention from the Committee. Next year will largely be indicative for the AMCU’s further transformation, as it plans to strengthen its regulatory role. Consequently, it is encouraging for the agency to further intensify its effective enforcement of competition law. 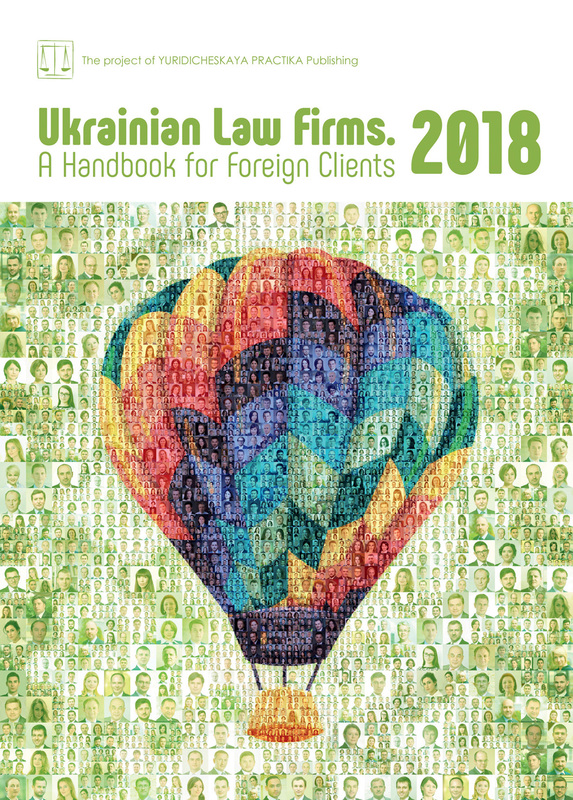 It is important to note that due to the lack of developed law-enforcement practices in Ukraine, EU law and practice are increasingly being applied in antitrust cases and investigations — both in courts and within AMCU proceedings. Therefore, lawyers experienced in applying European law will be the key persons in the implementation of European practice and rules.